I am not a beauty blogger and I gladly leave the task of talking about make up and stuff to those who are pros in it, like one of my new found fave Hungarian beauty blogger: Enntrance, but from time to time I find something that I really like and just simply feel the need to share it with You. 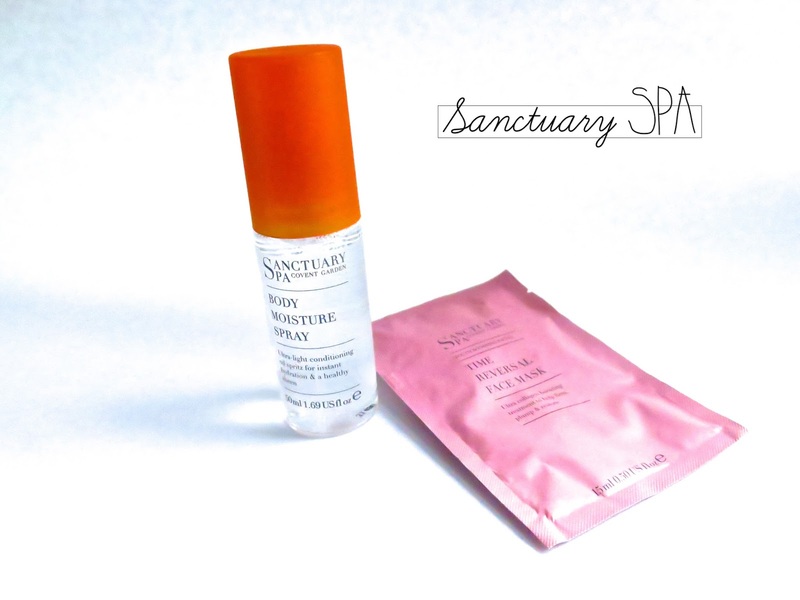 A few months ago I found (as a gift probably in a magazine) a face scrub, by Sanctuary SPA, that I really loved: Warming Microbraison Polish, so the last time I stumbled into Boots, I looked around in the Sanctuary SPA area. The Sanctuary Spa was launched in 1977, as a retreat for the female dancers of the Royal Ballet school and it is today the UK's no1 women only spa. First, I found the Body Moisture Spray which is amazing for my super super dry skin, it's oil based (gives a nice glow to the skin) but is good for a busy day since it is absorbed real quick. It is a spray, so it's easy to use and will not leak into my bag contrary to what sometimes happens to me by carrying around a travel size Johnson's Baby oil (which is what I normally use as a body moisturizer) that leaves a mark on everything. Second thing I found to try, was this face mask: Time Reversal Face Mask, I bought the travel pack form this too, since I wanted to try it first but there is a bigger package. Now I know I don't really need this yet (it said over 30), but I always feel that it is better to prevent and be pro active with these sort of things. It has only good things in it for the skin, and helps the skin's own cell renewal, why wouldn't that be good? :) I believe that no matter how young/old you are your skin gets older by the minute and so if you start helping/assisting your skin in keeping its youth it will last longer.